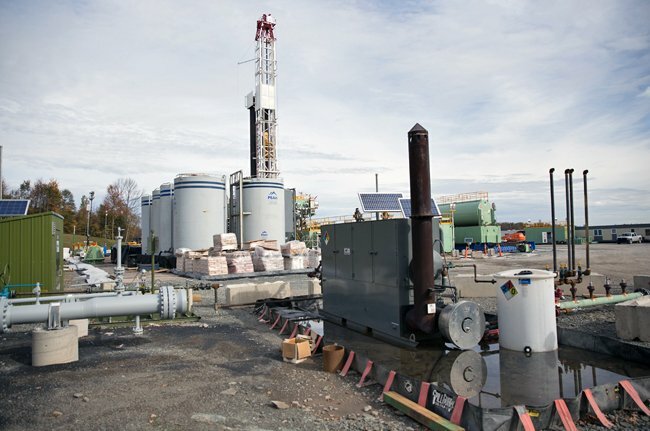 Researchers in Pennsylvania have discovered that the prevalence of radon, a radioactive and carcinogenic gas, in people’s homes and commercial buildings that are nearer to fracking sites has increased dramatically in the state since the unconventional and controversial gas drilling practice began in the state just over a decade ago. Both odorless and tasteless, radon is a naturally-occurring gas released from bedrock minerals beneath the ground and is found in millions of homes across the country. However, in a studypublished Thursday in the journal Environmental Health Perspectives, scientists compared the results of state-wide radon testing in Pennsylvania to find a significant correlation between unusually high levels of the deadly gas in some buildings (mostly residential homes) and the proliferation of fracking in certain areas of the state. The study’s first author is Joan A. Casey, a Robert Wood Johnson Foundation Health & Society Scholar at the University of California-Berkeley and San Francisco, who earned her PhD at the Bloomberg School in 2014. She says it is unclear whether the excess radon in people’s homes is coming from radium getting into well water through the fracking process, being released into the air near the gas wells or whether natural gas from shale contains more radon than conventional gas and it enters homes through cooking stoves and furnaces. Another possibility, she says, is that in the past decade buildings have been more tightly sealed, potentially trapping radon that gets inside and leading to increased indoor radon levels. In the past, most radon has entered homes through foundation cracks and other openings into buildings. 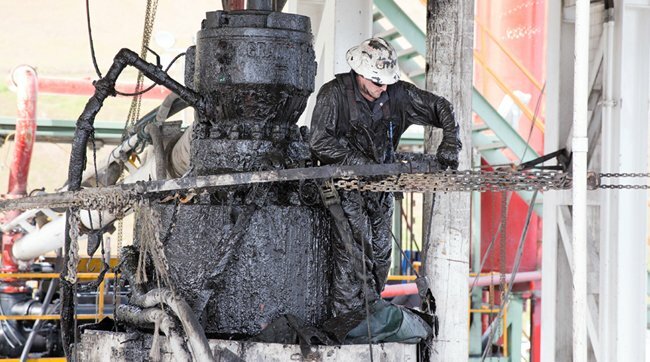 According to its summary, the study “found a statistically significant association between proximity to unconventional natural gas wells drilled in the Marcellus shale and first floor radon concentration,” especially during summer months. Though radon is often thought of as seeping up through basement floors, the researchers explain that airborne radon can also enter homes through open windows. After smoking, prolonged exposure to radon gas is considered to be the second-leading cause of lung cancer in the U.S. Significantly, the new study—Predictors of Indoor Radon Concentrations in Pennsylvania 1989-2013—directly conflicts with a study released by Pennsylvania’s Department of Environmental Protection in January of this year which concluded that there was “little potential for additional radon exposure to the public” due to the widespread fracking activities across the state. Despite the conflicting findings, both DEP and the John Hopkins researchers acknowledged it was difficult to compare the studies as they had dissimilar methodologies and measured radon in significantly different ways. “The industry needs to abandon this excuse it hides behind which is, ‘we’ve been doing this for 65 years, why are you worried’?” Goldstein said. “That’s simply wrong. This ought to be treated as if it’s something, like nanotechnology, which is a new thing that needs to be done carefully,” he added. Though people who buy new homes are often required to perform radon testing, Goldstein points out that “people who have been living in the house for a long time generally don’t measure” for the deadly gas.